From entertaining to connecting with her husband and kids over a weeknight meal, Ayesha Curry brings an approachable flair to creating, cooking, and enjoying the flavors of life. 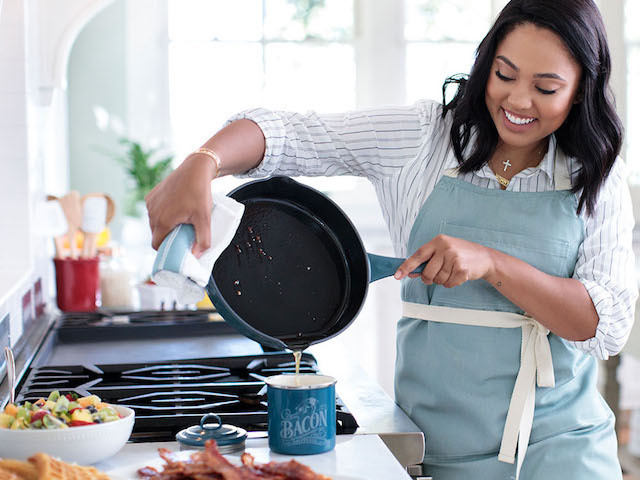 The Ayesha Curry Kitchenware Collection continues Ayesha’s commitment to infusing her passion for food and family with personality and ease. The line includes porcelain enamel, hard anodized and stainless steel cookware, cast iron, bakeware, stoneware, pantryware, cutlery and tools. Her collection combines no-fuss performance with Instagram-ready style, providing home chefs with great-looking kitchenware to pull off incredible recipes and wow friends and family alike.